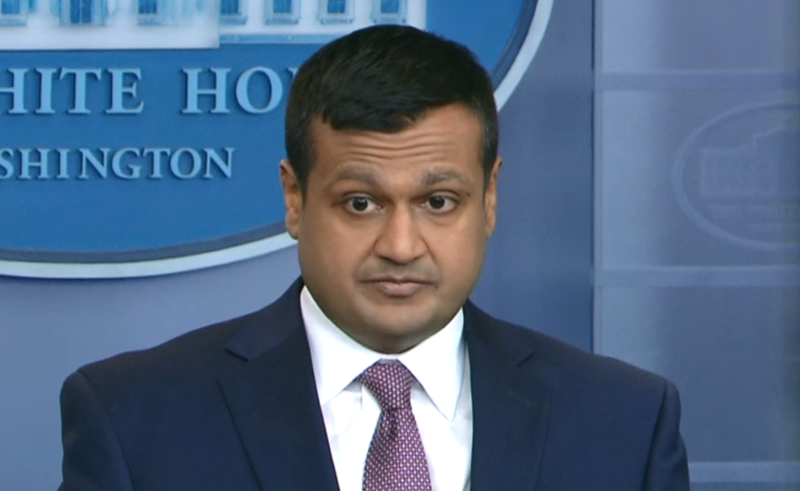 White House Deputy Press Secretary Raj Shah offered few details as to why former White House Staff Secretary Rob Porter remained a part of the Trump administration despite allegations that he physically and emotionally abused two ex-wives, Colbie Holderness and Jennifer Willoughby. "His background investigation was ongoing, his clearance was never denied, and he resigned," said Shah, who was standing in for White House Press Secretary Sarah Huckabee Sanders, while discussing Porter's security clearance during Thursday's press briefing. Porter's tenure at the White House ended with his resignation Wednesday. An acting staff secretary will be named as his replacement. While Shah called the allegations "serious and troubling," he said that President Trump was unaware that Porter had an interim security clearance or that there were documented incidents of him allegedly acting violently. When Mr. Trump learned of the reports Tuesday, Shah said, he was "saddened." White House Chief of Staff John Kelly, according to Shah, was also unaware of the allegations, but became "fully aware" when reports emerged. Shah said he was "not going to get into any specifics" of why Porter was still able to work in the White House with an interim security clearance, despite the allegations of abuse. However, Shah said that it would have been investigated as part of his initial White House background check. "We trust the background check process," Shah said. CBS News has confirmed the White House was informed of the allegations against Porter by the FBI in November. After this, Porter's responsibilities within the Trump administration were expanded. Porter has repeatedly denied the allegations from both of his ex-wives. White House Communications Director Hope Hicks, who is currently dating Porter, "did recuse herself from some matters" regarding Porter, according to Shah. He did not provide specifics as to what she had recused herself from. "We do take violence against women and these types of allegations seriously," Shah said.